The Mushrooms is a common food in soups or snacks. These vegetables grow naturally on trees or plants that are rotten. This fungus grows on trees in addition to decay, can also grow with cultivated. This type of fungus is plentiful, and not all mushrooms are edible. There are mushrooms that should be avoided, because it is toxic. Mushrooms can be eaten eg: shitake mushroom. For these edible mushrooms, they have many health benefits that you can take. Mushrooms does not contain salt and rich in fiber, so it is suitable for almost everyone, including people with heart disease, high blood pressure or diabetes. The plant is also rich in vitamins such as thiamine, niacin, pyridoxine, and biotin. In addition, it is also rich in minerals such as potassium, phosphorus, selenium and iron. We know that good selenium to prevent prostate cancer, and potassium is good for lowering blood pressure. 1. Middlesex University UK, proving that the fungus can reduce fatigue caused by a virus. This is because the fungus has anti-viral properties. 2. Penn State University USA, proving that the type of portobello mushrooms rich in antioxidants that are good for the immune system, so the body can be protected from diseases such as cancer or Alzheimer's disease. 3. University of Illinois USA, proving that like portobello mushrooms, maitake, and shiitake, contain a lot of fiber, which chitin and beta-glucan. Chitin is used to lower cholesterol levels, whereas beta-glucan is very good for maintaining heart. 4. National University of Singapore, proving that the type of shitake mushroom compounds containing lentinan substances and complex carbohydrates that can prevent viruses and cancer . Eating mushrooms is very beneficial for health. However, not everyone can eat it. People with kidney disease, for example, should not consume them because mushrooms are rich in potassium. 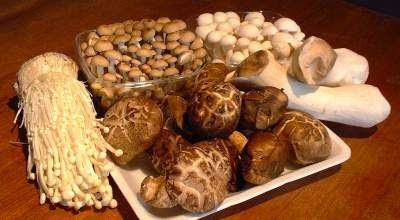 As well, suffering from gout should also not consume, because mushrooms contain purines, which if excessive lead to gout. The benefits of mushrooms are very good for health, but you also need to know things related to fungi. Mushrooms can be made varied depending on the taste of your food. But, should be coupled with some other intake of nutrient-rich as well.